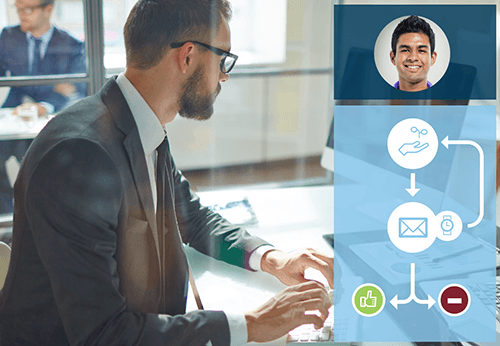 Act-On's automated programs make it easier to move prospects through the buyer's journey, from awareness to sales-readiness to purchase and beyond. True to their name, automated programs let you automate key processes and tasks that are critical to campaign success, yet are labor-intensive when managed by hand. 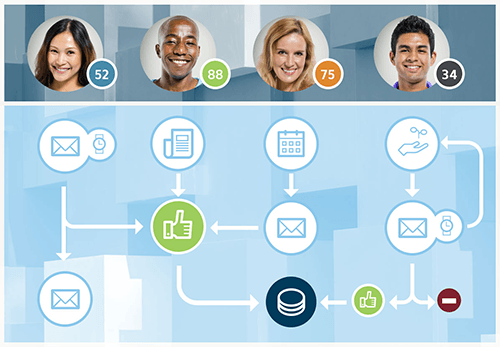 With Act-On, you can point, click, drag, and drop your way to a well-built marketing machine. Set up lead nurturing, segment lists, score and distribute leads, and trigger offers when someone performs a specific action. Learn how modern marketers are using Act-On's automated programs to move prospects through the buyer's journey, from awareness to sales-readiness to purchase and beyond. The result? Self-perpetuating campaigns that deliver targeted, personalized messages – and at enormous scale – without a hitch. Set up email nurture campaigns that deliver timely content and offers to leads based on where they are in the funnel, their attributes, what actions they take, and more. Lead nurturing keeps your brand top-of-mind with prospective customers via interval-based email messages that offer targeted content meant to educate and engage prospective customers as they move through their buying journey. 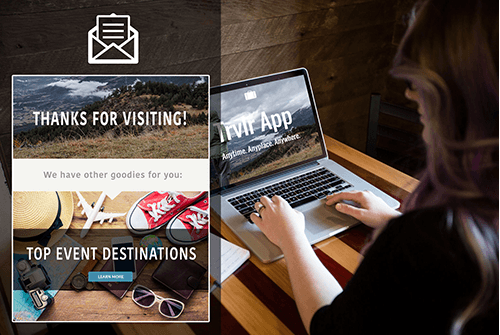 Dramatically reduce resource time and labor costs by creating your email campaigns just once, and then letting them run on autopilot per your instructions. Strike while the iron is hot! Use triggering to effectively respond to specific actions and behaviors, and keep users engaged with your brand. Send a welcome email to new blog subscribers, a reminder to complete a shopping cart order, or a discount code when someone on your list has viewed a demo. Act-On can help you automate your essential marketing programs, so you can say hello to increased performance, lower costs, and higher sales.